Fans of Star Wars Sandwich Cutters, Cookie Molds, and Pancake Molds from Williams-Sonoma can get even more Force-tastic items to make tasty treats! 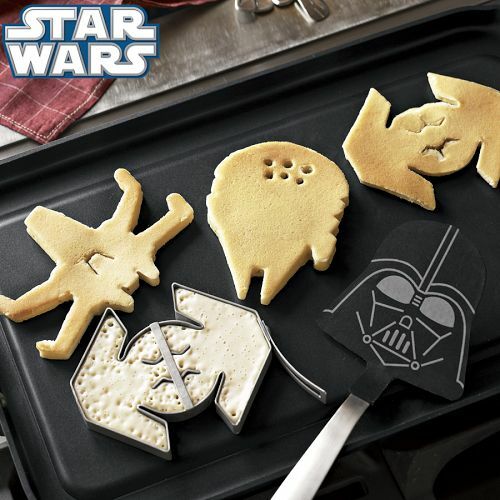 Here's a new set of Star Wars pancake molds to your cooking arsenal. Williams-Sonoma now offers a set of three Star Wars nonstick steel pancake molds in TIE fighter, X-wing and Millennium Falcon shapes. The molds are easy to use. Just place on a preheated griddle and pour in your batter; once the first side has set, remove the molds and flip the pancakes. Handles facilitate lifting and fold down for storage. 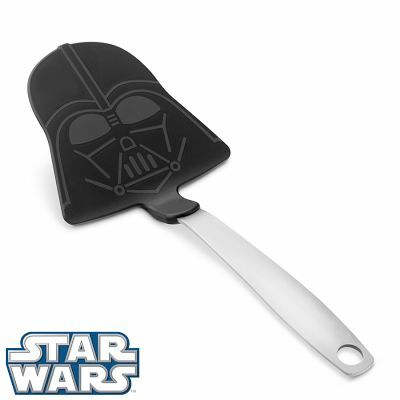 Whether the mission is baking cookies or flipping pancakes, young Padawan cooks will love using this Star Wars spatula featuring the fearsome Darth Vader. The flexible nylon-silicone head is heat-resistant and will not scratch nonstick pans. 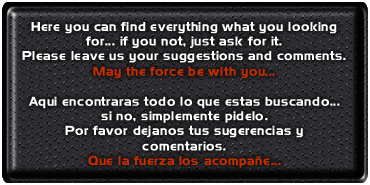 A long time ago in a galaxy far, far away, the Jedi Kitchen Council devised a powerful new way to spread fun through the galaxy. 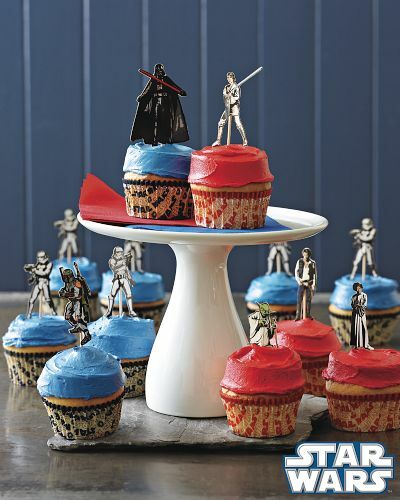 Jedi Master pastry chefs created this extraordinary collection, known as the Rebel Alliance Cupcake Decorating Kit. The kit has colorful cupcake toppers in four styles are modeled after Han Solo, Princess Leia, Yoda and Luke Skywalker, with coordinating paper liner designs, one featuring Chewbacca and the other featuring C-3PO and R2-D2. The Galactic Empire Cupcake Decorating Kit includes colorful cupcake toppers in four styles are modeled after Darth Vader, Boba Fett and two Imperial stormtroopers, with coordinating Darth Vader and Imperial Stormtrooper paper liners. The paper liners are made of grease-proof paper with eco-friendly soy ink. 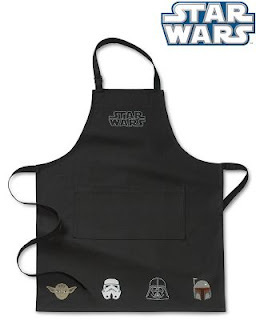 Young Padawans already have a cool Star Wars apron in their size, and now adult-sized Jedi get their own apron made of durable black cotton twill and embroidered with famous characters (who promise to lay down their lightsabers and get along in the kitchen). The double front pocket is large enough for carrying cook's tools, and an adjustable D-ring on the neck strap ensures a comfortable fit. To identify the Jedi chef, specify up to 9 embroidered initials.